… and what you can do about it Easter holiday travel disruptions. Are you gearing up for some Easter weekend travel? If you are or if you know someone who is, giving history a second glance can teach us a lot about what might be on the horizon this year. What’s more, understanding the data can help you avoid some major travel trouble. • More than 11,300 flights were disrupted at U.S. airports during Easter weekend in 2017. • Passengers who traveled to the EU between Good Friday and Easter Monday last year may be entitled to claim approximately $5,300,000 in compensation for flight disruptions. Which Airport Routes Experience the Most Disruptions? In 2017, the majority of Easter weekend flight disruptions occurred the day before and the day after the holiday weekend. 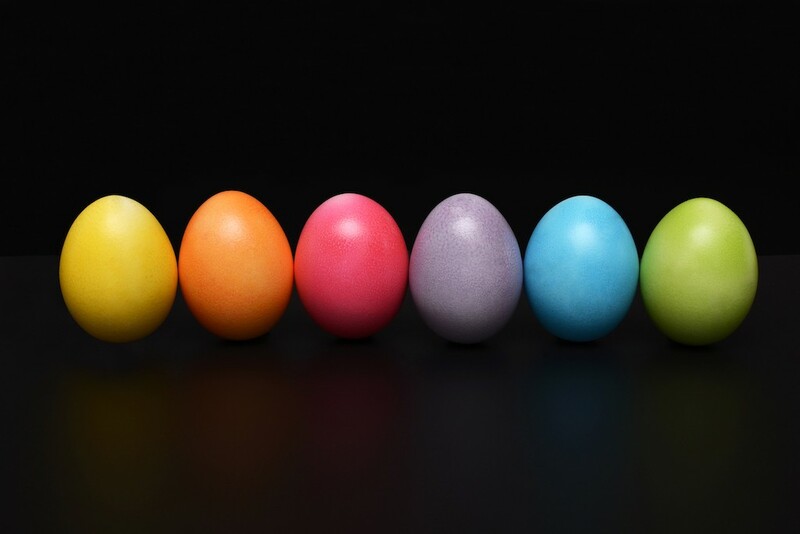 To minimize potential holiday travel hassles, we’ve generated a list of effective strategies to help you more efficiently navigate any Easter weekend travel plans. Doing so can help passengers avoid large crowds at the airport, potentially reducing wait time for security and minimizing the possibility of disruptions. Traditionally, flights are also cheaper on these days and the majority of Easter weekend travelers fly the day before and the day after the holiday. Large cities often have more than one airport and smaller airports accommodate fewer passengers. That means shorter lines and fewer people at less popular airports. Booking flights out of less frequented airports may save passengers time and money. It’s a holiday weekend which means people will travel to reunite with friends and family. That also means more people on the road who need to get to the airport. You don’t want to miss your flight, especially during a holiday weekend! Anticipate traffic and factor in more time to get to the airport and through security. “Flight disruptions affect a lot of people during holiday weekends like Easter, and unfortunately, since 92% of US passengers don’t understand their rights, airlines take advantage of uninformed consumers,” says Henrik Zillmer, CEO of AirHelp. You have legal rights when you fly. If your flight has been overbooked or if you experience a flight delay or a flight cancellation, we can offer help and clarification. Knowing your rights is crucial. If you are flying within the US and are denied boarding due to an overbooked flight, you may be eligible to claim 400% of the one-way fare to your destination in compensation, up to $1,350. For flight cancellations or lengthy delays when flying to the EU on an EU airline, or departing from an EU airport, you may be eligible to claim up to $700 per person in compensation under European law EC 261. Hopefully your journey will go smoothly, but if it doesn’t, know that it is your legal right to be able to claim compensation. You can even check compensation eligibility on the go and make a claim in a matter of minutes through the free AirHelp mobile app, available for iOS and Android. Just in case your flight is overbooked, delayed, or canceled, make sure you keep all of your flight documentation including boarding passes, electronic booking references, and other receipts. Saving receipts while you travel is important in case flight disruptions cause you to incur unforeseen expenses. You could be reimbursed for those extra costs. It’s always worth putting in an extra moment to employ a strategy that saves time and headaches in the long run, especially if you find yourself braving one of the top 10 most disrupted airports on Easter weekend. Travel is exciting, but it’s sometimes stressful too. As you make your travel plans, know that as that grand plan unfolds, we’re here every step of the way. We’re here to celebrate key travel moments and promptly respond when travel takes a less desirable turn. So, hop to it, enjoy your travels near or far, and have a safe and memorable Easter holiday weekend. Flight delays happen, but that doesn’t mean you have to accept them. You may be entitled to as much as $700 in compensation if your flight was delayed, canceled, or overbooked within the last three years.